Trying to devise a contingency approach where resources are concerned can be a particularly hard thing to do successfully. The reason being that few Organisations can afford to have enough full-time resources to man each individual project. Therefore it is highly likely you will end up working in an environment where resources are matrix managed. This means that resources are only allocated when there is actual work for them to do on your project, as demonstrated in your project plan. Now this can be a good thing where your project budget is concerned, since you will only be charged for a resource when they are actually doing work on your project. However from resource point of view this tends to cause numerous problems. "what tasks do you think the resources you will need are working on right now?". The answer is of course either another project, or BAU (Business as Usual). and that is where the problems occur. Project Managers can spend their time creating a project plan in infinite detail but believe me, it rarely works in the real world. By this I mean each individual task and milestone is highly unlikely to be completed according to the plan because things never go that smoothly, unless your deilverables are extremely simple, or your resources ring fenced. The reality is that where resources are involved you really are hugely dependent on other projects delivering on time. Now there are two ways you can "play" this situation. You can either be the "victim", raise the problem as a risk to the project and forget about it, or you can be pro-active and try to mitigate the risk of it happening. Unsurprisingly it is those Project Manager's who have the latter attitude who succeed in this business, because everyone loves a Project Manager who is perceived as someone who can get things done. So how would you go about implementing a Contingency Approach to resources? Well it's really quite simple. You need to start communicating and thinking laterally. The type of communication I'm talking about is the sort many scoff at as a waste of time. It's the chit chat at the watercooler, or the gossiping over a coffee in the canteen. All of this adds up to one thing for you; information. And with information comes power. 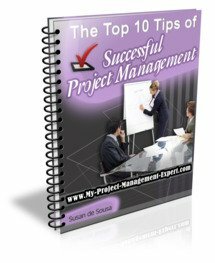 It means that before other project managers, you will find out about when the scarce resource you require are becoming available as well as a realistic view of where other projects are at.